National Administrative Professionals’ Day, also known as Secretaries Day or Admin Day, is observed April 25 this year. Not only is it a great day to appreciate the work of individuals in these fields, but it’s also a chance to draw attention to considering a career as a secretary, administrative assistant, medical or legal secretary, or executive assistant. As of 2016, secretaries and administrative assistants held nearly 4 million jobs in the U.S. Overall, jobs are expected to decrease in these fields over the next 10 years, with one exception, because of technology changes that enable other workers to perform work previously done by secretaries, such as typing and filing documents, scheduling meetings and making travel arrangements. The exception is the medical secretary specialty, which is projected to grow very significantly—22% during that time—because of expansion in the healthcare industry. Medical secretary positions will be added to handle billing and insurance processing, for example. Even with predicted decreases overall, there will continue to be openings as secretaries and administrative assistants change jobs, retire, or leave the occupation for other reasons. And in terms of challenge, the admin professional field is growing in level of responsibility and skill development, making this a stronger career option for many seekers. What do admin professionals do? Administrative professionals work in nearly every industry. Most work full time in offices, though a small number work from home on contract to companies. Their tasks generally focus on administrative duties needed to run an organization efficiently. Most organize files, prepare documents, schedule appointments, answer phones and take messages, arrange meetings, and support other staff. They also use computer software to create spreadsheets; manage databases; and prepare presentations, reports, and documents. They may negotiate with vendors, buy supplies, and manage stockrooms or corporate libraries. Secretaries and administrative assistants also use videoconferencing, fax, and other office equipment. Secretaries and administrative assistants are the largest subcategory of secretaries and administrative assistants. They handle office administrative activities in schools, government, and private corporations. Executive secretaries and executive administrative assistants provide high-level administrative support for an office and for top executives of an organization. Medical secretaries transcribe dictation and prepare reports or articles for physicians or medical scientists. They also take simple medical histories of patients, arrange for patients to be hospitalized, or process insurance payments. 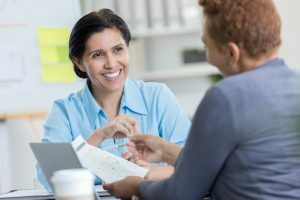 In terms of mobility, administrative professionals may develop transferable skills that can help them move into other positions, such as finance and HR. What skills are needed in this field? Decision making – to prioritize tasks, use judgment on issues of confidentiality and reflecting their employer’s values in daily choices. Interpersonal – interaction with clients, customers, and other staff is often continuous. Clear communication and courtesy are vital to creating a positive work environment and client experience. Organizational – secretaries and administrative assistants keep files, folders, and schedules in proper order so an office can run efficiently. Writing – good grammar and proofreading are needed to ensure that memos and emails reflect positively on the organization, and communicate clearly with managers, employees, and customers. High school graduates who have experience using word processing and spreadsheet programs may qualify for entry-level positions. Taking related courses at technical schools and community colleges can increase job opportunities. Some temporary placement agencies also provide training. Although most secretaries learn their job in several weeks, many legal and medical secretaries require additional training to learn industry-specific terminology, also available at technical schools or community colleges. Executive secretaries are usually required to have several years of related work experience, and may need college coursework, or a bachelor’s degree. Find Education and Training programs across the United States, or enter your local area for programs near you. The 2017 national median annual wage for secretaries and administrative assistants was $37,870, with a range of approximately $23,650 to $62,870. Typically, executive secretaries earn the highest salaries, followed by legal secretaries. Medical secretaries on average earn the lower salaries. Government and corporate environments pay the highest wages, on average. Salaries vary by state and city, but check the Salary Finder to get a glimpse of administrative professionals’ wages across the United States. To search for administrative professional job postings in your area, check out CareerOneStop’s Job Finder. International Association of Administrative Professionals . Learning events, networking, and an annual national conference. Find your local branch.